(Zdenka Badovinac, Published by ICI, 2019, ISBN: 978-0-692-04225-0) gathers twenty years of writings from disparate and hard-to-find sources alongside new texts from the forward-thinking Slovenian curator, museum director, and scholar Zdenka Badovinac. 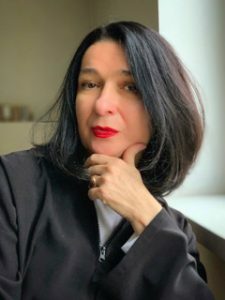 Zdenka Badovinac is a curator and writer, who has served since 1993 as Director of the Moderna galerija in Ljubljana, comprised since 2011 of two locations: the Museum of Modern Art and the Museum of Contemporary Art Metelkova. In her work, Badovinac highlights the difficult processes of redefining history alongside different avant-garde traditions within contemporary art. Badovinac’s first exhibition to address these issues was Body and the East—From the 1960s to the Present (1998). She also initiated the first Eastern European art collection, Arteast 2000+. One her most important recent projects is NSK from Kapital to Capital: Neue Slowenische Kunst – The Event of the Final Decade of Yugoslavia, Moderna galerija, 2015 (Traveled to Van Abbe Museum, Eindhoven, (2016), Garage Museum of Contemporary Art, Moscow (2016) and the Museo Reina Sofía Madrid (2017)); NSK State Pavilion, 57th Venice Biennale, 2017, co-curated with Charles Esche; The Heritage of 1989. Case Study: The Second Yugoslav Documents Exhibition, Modena galerija, Ljubljana, 2017, co-curated with Bojana Piškur; Sites of Sustainability Pavilions, Manifestos and Crypts, Hello World. Revising a Collection, Hamburger Bahnhof – Museum für Gegenwart – Berlin; Heavenly Beings: Neither Human nor Animal, Museum of Contemporary Art Metelkova, Ljubljana, co-curated with Bojan Piškur, 2018; Badovinac was Slovenian Commissioner at the Venice Biennale from 1993 to 1997, 2005 and 2017, and Austrian Commissioner at the Sao Paulo Biennial in 2002 and the President of CIMAM, 2010–13.